Confused about the safety of pesticides and GMO foods? Wondering how much they outperform their organic counterparts? Curious to know how to choose what's best for your family without becoming a basket case? Welcome to this special edition of the Nutrition Heretic Podcast. After my last interview with André Leu for our Frenching Your Food Telesummit, I invited him to come speak on the Big Island of Hawai'i. Today's edition is the full presentation that André gave to our local audience. Don't miss the Breakfast Talk Storywhere we sat down for a more informal discussion with André. Andre Leu is the Author of Poisoning our Children and TheMyths of Safe Pesticides. 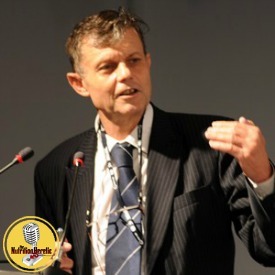 He is International Director of Regeneration International, an organization that promotes food, farming and land use systems that regenerate and stabilise climate systems, the health of the planet and people, communities, culture and local economies, democracy and peace.